Why See Disney on Ice: Mickey's Search Party? 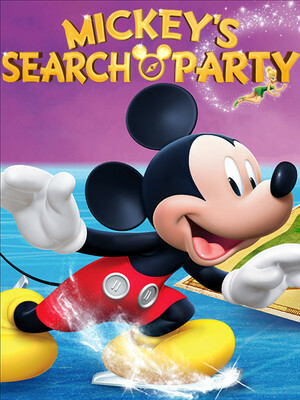 Join Mickey Mouse's Search Party! Mickey Mouse and his friends invite you on a brand new adventure, filled with high-flying, world-class skating and acrobatics! Disney on Ice: Mickeys Search Party is the perfect place to make those family memories, which will be treasured for life. Whether you're four or 94, there's something to be enjoyed by everybody. Mickey Mouse needs your help! Join his search party and help him find missing Tinkerbell. 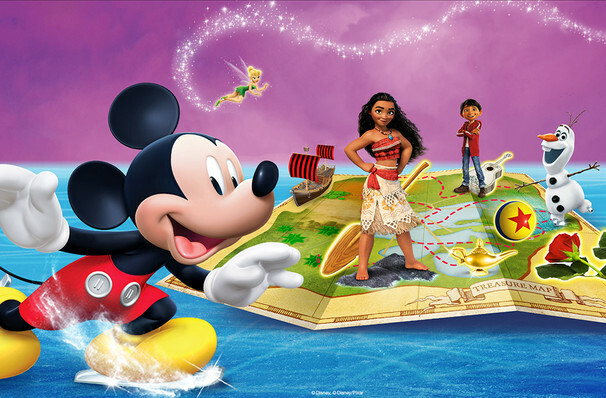 Follow Captain Hooks treasure map and look for clues in the different immersive worlds. You'll be guided though the colorful world of Coco in Miguel's Disney on Ice debut. Sail away with Moana, see Belle and her enchanting chandelier come to life, and sing along to all your favorite Frozen songs with Elsa. It's an all-out magical celebration! Sound good to you? Share this page on social media and let your friends know about Disney on Ice: Mickey's Search Party at Stampede Corral. Please note: All prices are listed in US Dollars (USD). The term Stampede Corral and/or Disney on Ice: Mickey's Search Party as well as all associated graphics, logos, and/or other trademarks, tradenames or copyrights are the property of the Stampede Corral and/or Disney on Ice: Mickey's Search Party and are used herein for factual descriptive purposes only. We are in no way associated with or authorized by the Stampede Corral and/or Disney on Ice: Mickey's Search Party and neither that entity nor any of its affiliates have licensed or endorsed us to sell tickets, goods and or services in conjunction with their events.